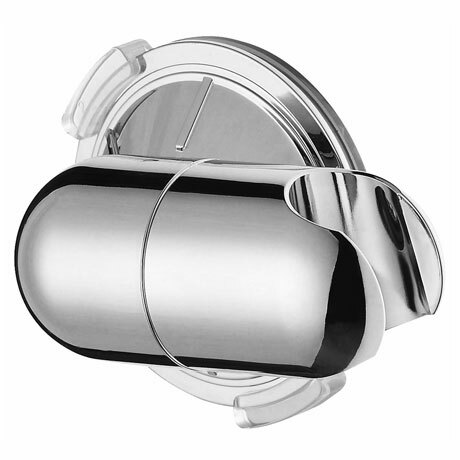 A stylish modern shower wall bracket with a stunning shiny chrome finish. Fix to the wall with suction, Sticky pad or screw. Fix to the wall with suction, Sticky pad or screw.